On 12/11, Towers Watson & Co. won approval from its shareholders for an $8.9 billion merger with insurance broker Willis Group Holdings Plc. “We are confident that combining Towers Watson and Willis will accelerate both companies’ long-term strategies and create substantial incremental value for shareholders,” Towers Watson Chief Executive Officer John Haley said in the statement. 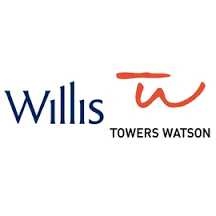 Willis agreed in June to merge with Towers Watson to better compete with brokers including Marsh & McLennan Cos. and Aon Plc, which also have substantial consulting operations. Here at KTP, we are interested to see what this will mean for the private exchange market in 2016! For the full article from Insurance Journal, please click here.